Save Time and Reduce Stress with your Remodeling Project. We use the latest kitchen and bath cabinet design software and planning tools. Planning a new kitchen or bath can be quite overwhelming. We use the latest in design software and planning tools to help simplify the process. From the beginning of the project to laying out your entire project, our software and planning tools will make it easier to layout your new kitchen or bath while bringing your project to life before critical decisions are made. We maintain two of the top National Association of Remodeling Industry (NARI) approved cabinet design software packages. Learn everything you’ve always wanted to know about remodeling your kitchen and bath cabinets at our kitchen and bath cabinet design classes! We cover just about everything that relates to remodeling and installing kitchen and bath cabinets. The intent of the design classes is for you to walk away with a lot of information and confidence as you tackle any kitchen and/or bath cabinet remodeling project. Cabinet layout design, shopping and installation is a process that should be creative and enjoyable. Our classes are constructed with those ends in mind. 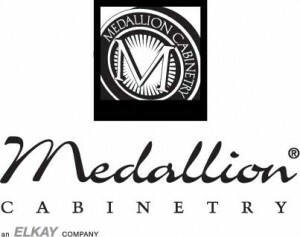 The classes are led by a 25 veteran of the cabinet industry, and an authority on the subject of indoor cabinet design and installation. Our design classes are held on the 1st and 3rd Wednesday of every month at our showroom, from 9:30 to approximately noon. The design class topics that are typically offered is the “General Cabinet Primer” unless we post otherwise. Seating is limited so we can provide the best experience for all attendees, so please reserve your spot today. Reserve by calling us at 770-956-4077. We suggest that you bring something to write on as you may want to take notes. We’ll also provide free takeaway information. We looking forward to seeing you!